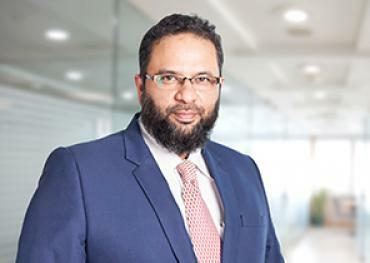 Syed Adil Wadood is leading the Jaffer Infrastructure Solution (JIS) with over 20 years of professional experience. He is one of those persons who grew from lowest rank and become the leader of his domain. From the trainee sales executive in JBL, he performs and become head of JIS SBU. His enthusiasm towards meeting new faces and making new customers and friends gives him motivation towards achieving new heights. He has played roles of presales too due to his keenness towards understanding the solutions and offering to resolve customer business problems. While sales is his passion, his other passion is sports. He also leads Jaffer cricket team. Under his captaincy, Team Jaffer has won many corporate tournaments and trophies.